Meetings are either business or monthly meetings, committee meetings or special meetings. See our Calendar on the homepage to stay up-to-date. You can volunteer by giving your time in preparation for events and in other areas that need attention in the Grange, off-site or on-site. If you want to commit to a long term involvement at the Grange you may want to consider one of our membership options. 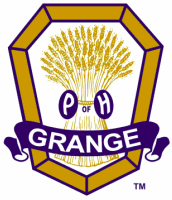 The Grange has partnered with other community organizations and we are always open to expansion.